Your patients are using cannabis. In fact—if you work with seniors—then you work with the fastest growing demographic of cannabis users. In 2017, cannabis use among adults 65 and older went up 250%, and up nearly 60% in adults aged 50-65. Cannabis is a safe and effective choice for seniors looking to treat age-related and chronic illness, or wanting to wean themselves from pharmaceuticals with severe side effects. Despite the challenges of using cannabis as a treatment modality, many seniors can use cannabis to relieve pain, improve sleep, reduce stress, and improve mood. As cannabis use becomes normalized across political, gender, age, and socioeconomic strata, health care practitioners must develop a foundational knowledge of which clinical implications cannabis may help treat and how to use cannabis as a treatment modality. 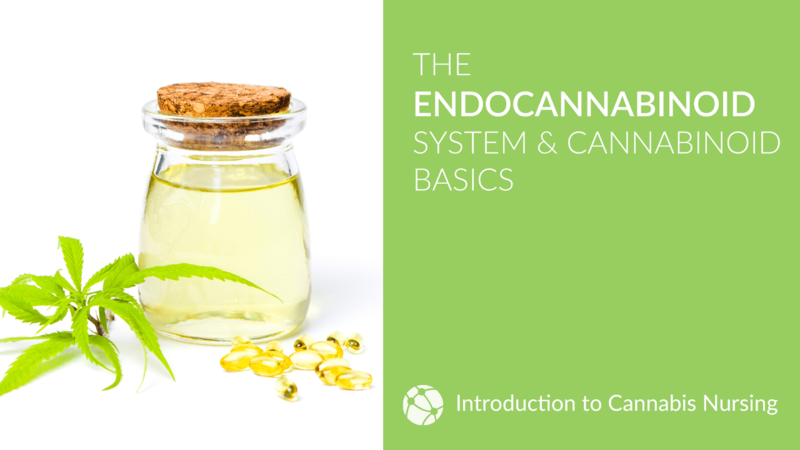 In this course, you will learn about the human endogenous cannabinoid system (ECS)—a major physiologic system required for maintaining homeostasis and which regulates memory, pain perception, appetite, mood, and sleep. You will learn how cannabinoids—synthetic, endogenous, and phytocannabinoids—can modulate the ECS. You will learn about various chemical compounds found in cannabis, methods used to extract those compounds, and the various routes of administration available to patients. Additionally, this course describes treatment strategies when starting with cannabis treatments, with a focus on working with senior patients. 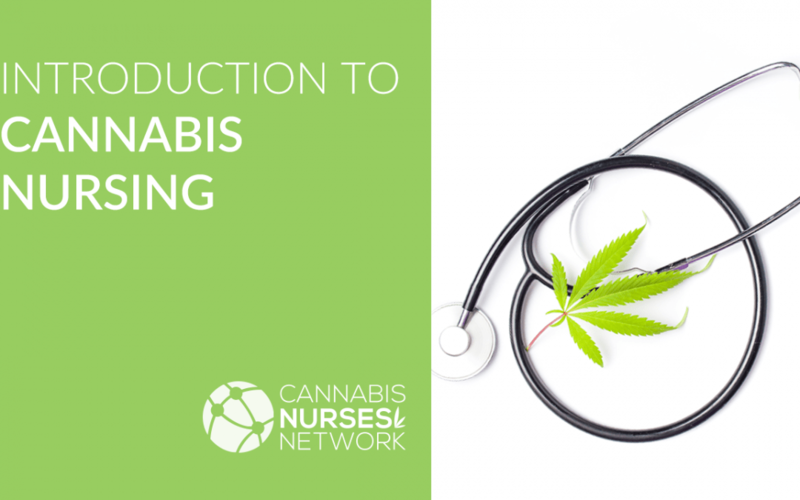 The Endocannabinoid System & Cannabinoid Basics for Cannabis Nurses: Provides an overview of the human endocannabinoid system (ECS). Describes common cannabinoids and terpenes and discusses how cannabinoids influence the endocannabinoid system. 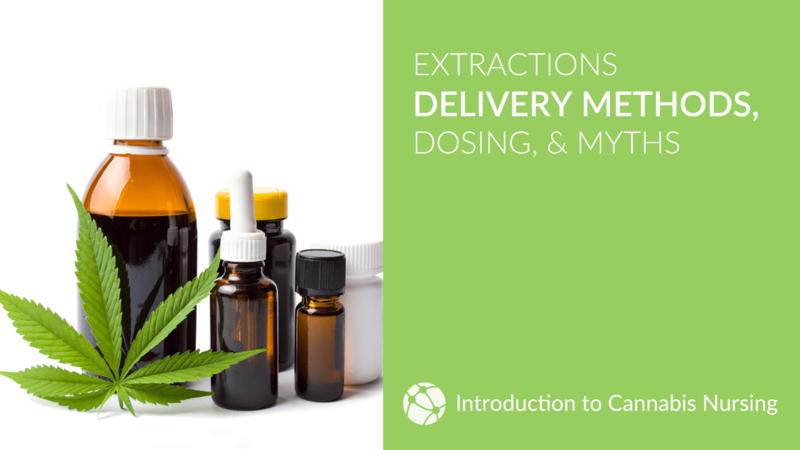 Extractions, Delivery Methods, and Dosing: Describes basic information about extraction methods, delivery methods, general dosing guidelines, and some best practices to consider when recommending cannabis for patients; dispels commonly held misconceptions about cannabis. 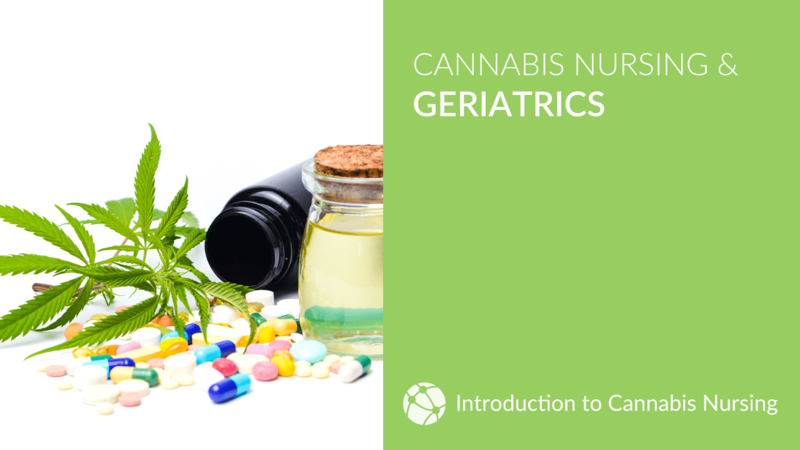 Cannabis Nursing & Geriatrics: Describes how to use cannabis to treat illnesses and conditions typical of senior patients; includes case studies of Radicle Health patients using cannabis to treat age-related and chronic illness. 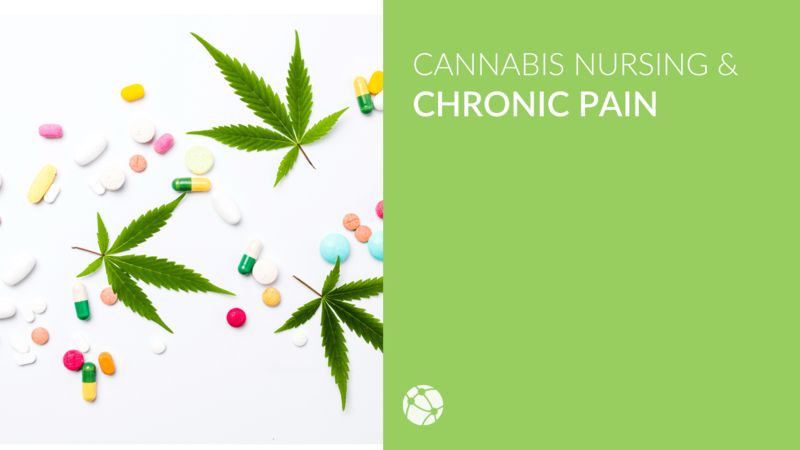 Cannabis Nursing & Chronic Pain: Describes how to use cannabis to treat illnesses and conditions typical of chronic pain patients; includes an overview of types of pain, current research, and case studies of Radicle Health patients using cannabis to treat chronic pain. This course is provider approved by the California Board of Registered Nursing, provider number 16845, for 2.5 contact hours. Students who complete the entire course and pass the quizzes with 70% or higher will be issued a printable certificate of continued education credits. 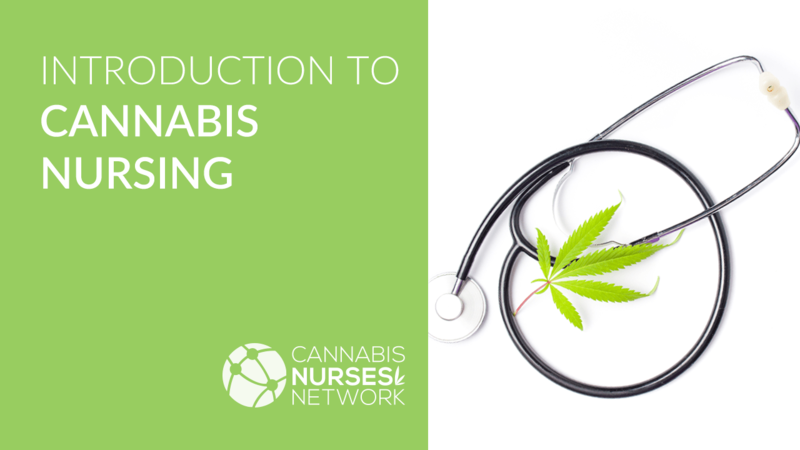 Please Note: This is a series of online video courses, accessed via Cannabis Nurses Network. You will need a computer & good internet connection to complete it. Describe the components of the endocannabinoid system, including the endogenous ligands, the receptors, the enzymes that metabolize the ligands, and the concept of retrograde signaling. Describe clinical endocannabinoid deficiency and recognize how it can present in patients. Describe the most common types of phytocannabinoids and terpenes in cannabis plants. Describe the pharmacokinetics of THC and CBD. Understand the most common extraction methods for producing cannabis concentrates. Understand cannabis routes of administration and be able to assess when to use a specific delivery method. Describe some dosing best practices. Dispel common myths about cannabis. Identify geriatric patient risks and understand how to apply best dosing practices to clinical implications common to geriatric patients. Attendees who successfully complete all course requirements will receive a certificate of completion within 90 days after the conclusion of the course. Attendees are required to retain this document for a period of four years after the course concludes. Attendee name and license number. The provider name (as approved by the BRN), address, and provider number. The number of continuing education contact hours. The signature of the instructor. Our industry represents a variety of backgrounds and perspectives. Radicle Health training is committed to providing an atmosphere for learning that respects diversity. During our training sessions, we expect all attendees to share their unique experiences, values and beliefs; be open and respectful to views different from their own; and appreciate the opportunity to learn from others. No refunds or future discounts are offered on this product once it has been purchased. It is the responsiblity of the student to complete the course requirements in order to receive the certificate of completion and valid continued education credits.